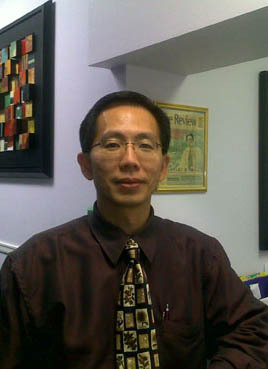 Dr. Martin Kwok established Richmond Alternative Medical Clinic in the summer of 1997 and has been offering patients in Richmond and Metro Vancouver area a wide range of medical care and specialized treatments. The clinic sees patients with simple cold or flu to patients with severe chronic conditions like heart disease or cancer. Dr. Martin Kwok completed his Bachelor of Science degree from the University of British Columbia. He then pursued his Doctor of Naturopathic Medicine and Master of Science in Acupuncture & Oriental Medicine from Bastyr University in Seattle Washington. Dr. Kwok holds a naturopathic physician license and a doctor of traditional Chinese medicine license in BC, and has a general practice in the heart of Richmond, BC. He sees all walks of patients with special focuses on cardiovascular conditions, thyroid conditions, allergies, gastrointestinal conditions, male/female hormonal imbalances, and soft tissue injuries. Dr. Kwok is actively involved in his profession and the community. He is the board member and secretary of National Traditional Chinese Association of Canada (NTCM), and a past board member of the Osteoporosis Society of BC (OSTOP), the Osteoporosis Society of Canada (BC division), and the British Columbia Naturopathic Association (BCNA). He is a physician in good standing with the College of Naturopathic Physicians of BC (CNPBC) and the College of Traditional Chinese Medicine Practitioners and Acupuncturists of British Columbia (CTCMA). In addition, Dr. Kwok is the Editor-In-Chief of Dragon’s Medical Bulletin (DMB), a professional E-newsletter that published ten times per year. DMB informs practicing physicians of the latest news and research abstracts in integrative medicine and oriental medicine. The DMB newsletter is free of charge of open to all health care practitioners and interested patients. As a patient of the clinic, you can expect minimal waiting time and individualized health care services. We believe that every patient’s time is as valuable as the doctor’s, thus we normally do not book more than one patient in the same time slot. We also ask our patients to respect the doctor’s schedule and other patients’ appointments by being on time and informing us if they are going to be late or cannot make the appointment. The initial visit is the most important visit and it often takes up to an hour for the initial visit. Please note that we will have to take a full history of your current condition, know your past medical history, understand your diet and lifestyle, review rest of your body systems, go over your current medications and supplementations, and perform physical exams if indicated. At the end of your first visit, your doctor will discuss your condition and overall treatment plan with you. Follow-up visits are usually between 15 – 20 minutes. The initial visit is the most important visit and it often takes 1 to 1 ½ hours to complete. Please note that we will have to take a full history of your current condition, know your past medical history, understand your diet and lifestyle, review rest of your body systems, go over your current medications and supplementations, and perform physical exams if indicated. At the end of your first visit, your doctor will discuss your condition and overall treatment plan with you. Follow-up visits are usually between 15 – 30 minutes.